Our Artisans and Paint Mechanics have extensive experience in all of the various phases of applications. Our Painters have an average of 15 years of residential experience and commercial painting experience. We value our Customers and our Employees as Individuals. We try to develop long-standing working relationships with our Customers. Our company is family owned and operated and we still have the same vision of providing museum quality painting services. So many painters in Northern Virginia don't really do much in terms of preparation. We do the job the way it's supposed to be done, and we spend alot of time doing extra preparation. 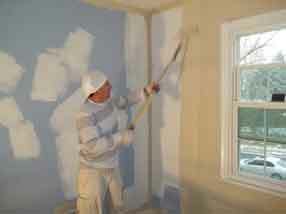 Davinci's specializes in painting, drywall, carpentry, and specialty applications. With 30 years of experience, there isn't an aspect of Painting that we don't know. We have the knowledge and comprehension to take on any type of project. Davinci's is committed to the highest level of professionalism for the most discerning clientele. If you need a painting contractor who knows more about just applying paing, please call us. We are specialists in all areas of painting and we will take the time to answer any questions or concerns you might have. We take pride in delivering professional results for all types of projects and homes. Some people like to be artistic and can tollerate strenuous tasks, and at times, painting a home can be an enjoyable experience. However, if you are not artistically inclined, or if sanding and carrying ladders are not your strong points, then the task of painting or getting ready to paint, can be overwhelming and messy. Whether or not you choose to hire Painters in Northern Virginia like Davinci's, or try to do the job yourself is a matter of choice. Some people have the nack and the ability to paint really well, while others try it, and then decide to hire a professional to take the load off their hands. 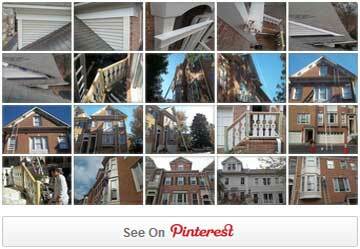 We know there are hundreds of Painting Companies in Northern Virginia, so your decision isn't always easy. As a Homeowner, you should consider alot of things when selecting any kind of Contractor that performs work on your Home. We had them come out and paint our dining room, living room, foyer, and basement. They were on time every day, accurate with timeframe, great painters, and gave us the lowest quote out of four. Paul was nice about coming out to give multiple quotes. I found Davinci's Painting on Yelp and gave them a call. Paul called me back very quickly and was happy to set up an appointment to come out for an estimate. Paul's personal touch really made a difference, he answered any questions that we had. Davinci's Painting did an awesome top-to-bottom interior paint job for us that was finished last week. Paul gave us a detailed estimate of what would be included in the job. We received several bids, and their proposal was extremely detailed. It can be difficult and time consuming to find a good interior painter. I spent the better part of a week fielding estimates for work on a one bedroom condo that needed to be painted quickly. Paul provided an extremely competitive price for the project. After soliciting several bids for painting our master bedroom, Davinci's Painting presented the most competitive price. They were flexible about adapting the scope work to meet our last minute changes, and also worked around our schedule. Davinci's power washed the entire townhouse before starting to paint and then identified the areas where the wood was rotted and should be repaired. They went above and beyond. Their spackling was perfect every area was smooth. "I would highly recommend Davinci's Painting, Good Luck Guys!!!" "I was very pleased with your work and would definitely use you all again!" "We had the whole house painted, and we were glad to hire Davinci's Painting." "Thanks to everyone on your team for their hard work and professionalism."